Save With Global Mobility Programs – The saying goes that it takes money to make money, and global mobility is no exception. Even though you understand that the talent you on-board or relocate will help your organization grow and prosper, getting the transferees from their origin to their destination locations can be expensive. Don’t be discouraged, there are several ways to save when creating your global mobility policies. Not all employees are equal, therefore their relocation compensation shouldn’t be the same. It would make sense to pay the recent college graduate new hire substantially less than the amount awarded to a seasoned, executive-level employee. Additionally, not everyone requires the same amount of time to complete his or her move. Services can be tiered with regard to what they offer. For example, home-finding tours can be broken into half-day, one-day, or two-day options, then offered accordingly per your mobility policy. Tiered categories can be sorted by homeowners versus renters, or by how many school-age children a transferee has. Allowances for the shipping of household goods and vehicles can also be tiered based on the transferee’s position and distance to the destination location. 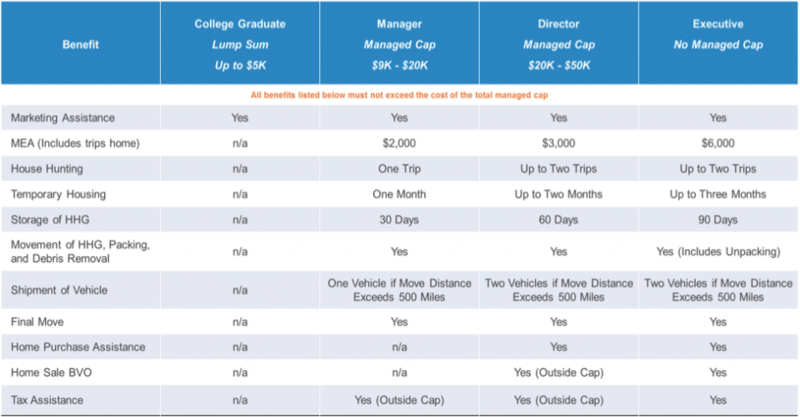 It is very important to clearly state the various tiers in the company’s relocation policies. Tiered policies have been proven to reduce costs versus standard lump sum programs. As a company builds a relocation policy, it has many different services from which to choose – Pre-decision alone has over 30. By bundling various services together, such as home sale, household goods shipping, community tours, mortgage assistance, etc., companies can see significant savings. Typically, bundling can save companies up to 20% of what the services would cost individually. Lastly, by outsourcing mobility management needs to trusted, experienced, relocation experts, HR personnel can remain focused on department-specific tasks, such as enforcing company policies, finding new talent, and administering benefits and compensation. When expert mobility coaches guide transferees and their families through the relocation process, less calls are made to or by the human resources representatives. Generally, when working with a mobility management company, transferees arrive at their destinations happier, less stressed, and ready to work. In short, it saves sanity. 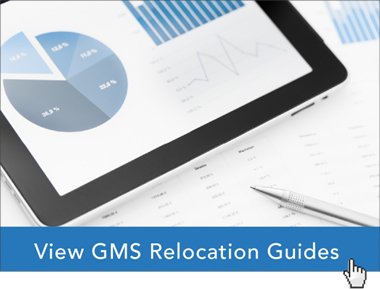 To learn more about the benefits of incorporating a mobility management company into your global mobility programs, please read Domestic Relocation Services and Global Relocation Services. You may also contact a GMS mobility specialist to get program details customized for your company’s specific needs. What Are The Benefits of Outsourcing Global Relocation Programs?